Normal parathyroid function: How parathyroid glands work, Parathyroid hormone (PTH) production, and controlling calcium in bones and blood. Normal Parathyroid Gland Function. How Parathyroid Glands Work. Parathyroid glands control the calcium in our blood and bones. Learn how parathyroid glands work by making parathyroid hormone to control blood and bone calcium. This page of Parathyroid.com discusses the normal function of parathyroid glands, how parathyroid glands monitor and control blood calcium and what it means to have high blood calcium. 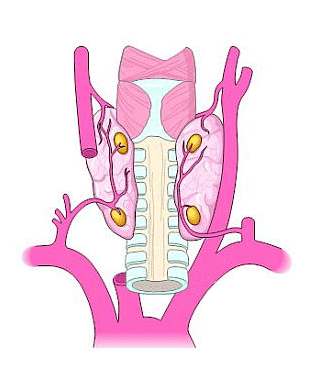 Illustration of the parathyroid glands. What is the role of the parathyroid gland? The sole purpose of the parathyroid glands is to control calcium within the blood in a very tight range between 9.0 and 10.0. In doing so, parathyroids also control how much calcium is in the bones, and therefore, how strong and dense the bones are. Although the parathyroid glands are located next to (and sometimes inside) the thyroid gland, they have no related function. The thyroid gland regulates the body's metabolism and has no effect on calcium levels while parathyroid glands regulate calcium levels and have no effect on metabolism. Calcium is the element that allows the normal conduction of electrical currents along nerves--its how our nervous system works and how one nerve 'talks' to the next. Our entire brain works by fluxes of calcium into and out of the nerve cells. Calcium is also the primary element which causes muscles to contract. (editor's note, almost all of us adults live with calcium levels in the mid 9 range; there are almost no adults who feel well with calcium levels below 9 or above 10.2). Knowing these two major functions of calcium helps explain why people can get a tingling sensation in their fingers or cramps in the muscles of their hands when calcium leels drop below normal. A sudden drop in the calcium level (like after a successful parathyroid operation where the patient doesn't take their calcium pills for the first few days after the surgery) can cause patients to feel "foggy", "weird" or "confused like my brain isn't working correctly". The brain DEMANDS a normal steady-state calcium level, so any change in the amount of calcium can cause the brain to feel un-loved and the patient to feel bad. Likewise, too much parathyroid hormone causes too high a calcium level--and this can make a person feel run down, cause them to sleep poorly, make them more irritable than usual, and even cause a decrease in memory. In fact, the most common symptoms for patients with parathyroid disease are related to the brain, and include depression and lack of energy! 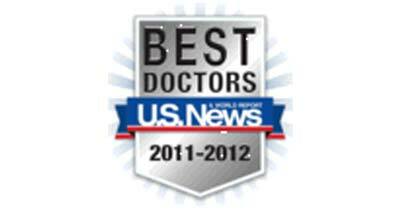 After removal of a bad parathyroid gland, most people will feel dramatically better. Some say its like "someone turned the lights on". Most people don't feel good when their calcium level is above 10, and the vast majority of people will feel pretty darn tired and run-down when their calcium level is above 10.5. Go to the page on Symptoms of Hyperparathyroidism to lean more about symptoms of high calcium. Although the four parathyroid glands are quite small, they have a very rich blood supply. This suits them well since they are required to monitor the calcium level in the blood 24 hours a day. As the blood filters through the parathyroid glands, they detect the amount of calcium present in the blood and react by making more or less parathyroid hormone (PTH). When the calcium level in the blood is too low, the cells of the parathyroids sense it and make more parathyroid hormone. Once the parathyroid hormone is released into the blood, it circulates to act in a number of places to increase the amount of calcium in the blood (like removing calcium from bones). When the calcium level in the blood is too high, the cells of the parathyroids make less parathyroid hormone (or stop making it altogether), thereby allowing calcium levels to decrease. This feed-back mechanism runs constantly, thereby maintaining calcium (and parathyroid hormone) in a very narrow "normal" range. In a normal person with normal parathyroid glands, their parathyroid glands will turn on and off dozens of times per day...in an attempt to keep the calcium level in the normal range so our brain and muscles function properly. 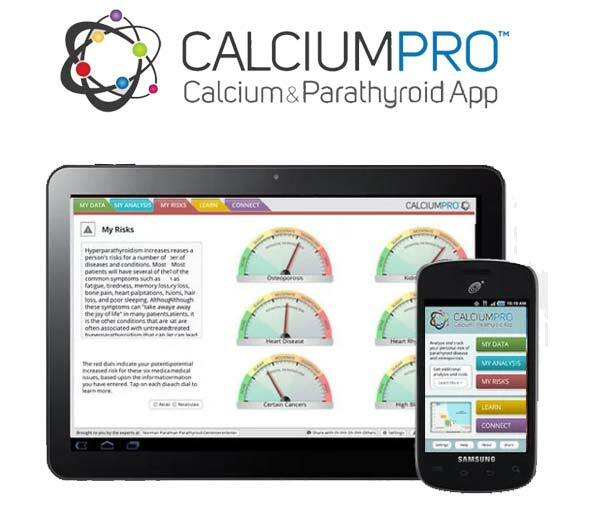 Those of us with normal parathyroid function will have calcium levels that are constant... with almost zero variability. For instance, if your calcium level is 9.6 this week and you have normal parathyroid glands, your calcium will be between 9.4 and 9.8 every time you measure it for most of your life. Contrast this with somebody that has a bad parathyroid gland. The bad parathyroid gland has lost it's regulatory system and these patients have calcium levels that bounce around from high to low, never the same number twice: up - down, up - down, up, up, down, up, up, down. The control system is lost in parathyroid tumors. This is hyperparathyroidism. How Does Parathyroid Hormone Increase Blood Calcium? Like all endocrine glands, parathyroids make a hormone (a small protein capable of causing distant cells in the body to react in a specific manner). Parathyroid hormone (PTH) has a very powerful influence on the cells of the bones which causes them to release their calcium into the bloodstream. Calcium is the main structural component of bones which give them their rigidity--but remember from our first page, the principle purpose of the bones is to provide a storage system for calcium--so our brain will never be without calcium. Under the presence of parathyroid hormone, bones will give up their calcium in an attempt to increase the blood level of calcium. Under normal conditions, this process is very highly tuned and the amount of calcium in our bones remains at a normal high level. Under the presence of too much parathyroid hormone, however, the bones will continue to release their calcium into the blood at a rate which is too high resulting in bones which have too little calcium. This condition is called osteopenia and osteoporosis and is illustrated in this video where the bone develops more "pores" (or holes) and less bone mass. When bones are exposed to high levels of parathyroid hormone for several years they become brittle and much more prone to fractures. Another way in which the parathyroid hormone acts to increase blood levels of calcium is through its influence on the intestines. Under the presence of parathyroid hormone the lining of the intestine becomes more efficient at absorbing calcium normally found in our diet. The parathyroid glands monitor the calcium in the blood 24 hours per day. The four parathyroid glands make more or less parathyroid hormone (PTH) in response to the level of calcium in the blood. When the calcium in our blood goes too low, the parathyroid glands make more PTH. Increased PTH causes the body to put more calcium into the blood. Increased PTH causes the bones to release their calcium into the blood. When the calcium in our blood goes too high, normal parathyroid glands STOP making PTH--they shut down. Calcium is the most important element for the nervous system, the muscular system, and the skeletal system. Calcium provides the electrical system for our nerves, and muscles, allowing the nerves to conduct electricity and the muscles to contract. This is why parathyroid disease (over-production of PTH from a parathyroid tumor leading to high blood calcium) causes symptoms of the brain, muscles, and bones. People with normal parathyroid glands have calcium levels that jump around very little or never... it's almost always the same number in the 9's. People with a bad parathyroid gland (hyperparathyroidism) have grown a tumor in one of their parathyroid glands that has lost it's regulatory system... so the calcium levels jump around all over the place, usually being high (over 10.2). It is never normal to have high calcium levels. Adults over the age of 30 should have almost every calcium level be 10.1 or lower. Adults over the age of 40 who have persistent calcium levels above 10.1 almost certainly have a parathyroid tumor. High calcium levels almost 100% of the time means you have a tumor on one of your parathyroid glands. These are not cancerous tumors--instead they cause trouble by making too much hormone. People don't like having high calcium... it makes them feel bad; ruins their kidneys, liver and arteries; causes strokes and cardiac rhythm problems; causes kidney stones and osteoporosis; and can even increase the risk of cancers such as breast cancer. If you have hyperparathyroidism (a bad parathyroid gland), you should get it removed. You will live longer and feel better. Humans don't like high calcium! If your lab tests say that having calcium levels up to 10.4 or even 10.6 are normal, then that lab is including children and teenagers into their normal range. It is normal for children and teenagers to have blood calcium levels up to 10.4 or even 10.5 on occasion. (They are still building bones!). It is normal for young adults in their twenties to have calcium levels up to 10.3 or 10.4. Once you are over 40, it is OK to have an occasional calcium level up to 10.2 (not above). If you are over 40, then it is not normal to have frequent or persistent calcium levels above 10.1. If your doctor says that it is OK for you because the lab values say this is OK, then you tell them "Not True". That normal range includes kids and that is not the normal range for adults over 40. Hyperparathyroidism: The ONLY disease of the parathyroid glands. The Signs and Symptoms of Hyperparathyroidism. 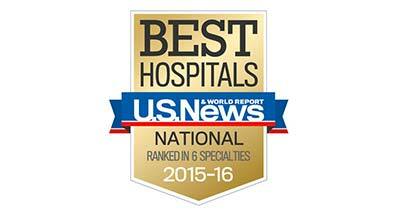 Mini-Parathyroid Surgery: where all 4 glands are checked in less than 15 minutes. See more of our videos on one page... our Teaching Videos Page. Read the stories on our blog. Very Cool! 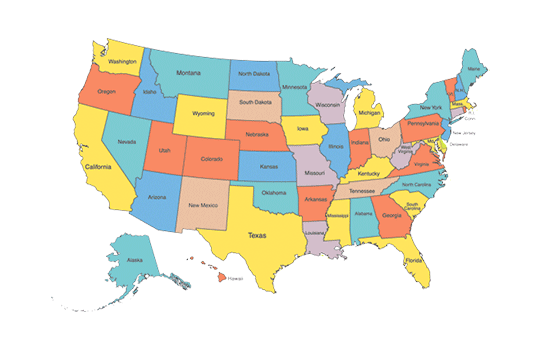 See a Map of where our patients come from.